I’m incredibly excited to tell you about a new book written by talented author Maria Ruiz Scaperlanda! I had the great privilege to review and endorse The Shepherd Who Didn’t Run: Fr. 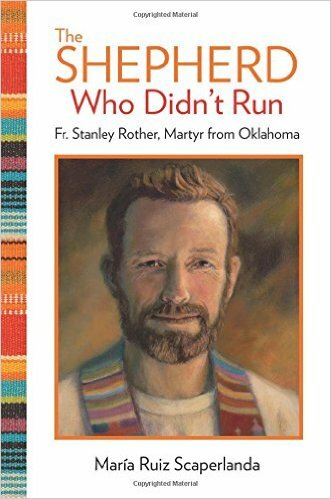 Stanley Rother, Martyr from Oklahoma (Our Sunday Visitor, December 2015 $19.95) . I’m grateful to have been given a sneak peek at this amazing story that is so craftily written and compelling that I couldn’t put it down. I’m also grateful to have been granted a Q&A with Maria and to share it with you as part of The Shepherd Who Didn’t Run blog tour! I love author Q&As because they give me a chance to look behind the scenes of the book, to learn the interesting anecdotes and little-known facts that went into the making of a great work like this one. So, without further ado, I invite you to sit down with Maria and me and take a look behind the scenes of The Shepherd Who Didn’t Run. Q: Every book has an interesting back-story about how the concept came to be. What is yours? A: First of all, thank you so much for helping me spread the story of Father Stanley Rother, Marge! I very much believe that he’s a saint for our time. We need the inspiration and example of good holy men and women like him, so thanks for helping me tell more people about him! Now, about the book, since I was commissioned by the Archdiocese of Oklahoma City to write this, which is not that interesting of a back-story – I’ll answer the question in terms of the title! In a letter to the Catholics of Oklahoma that was published in the two diocesan newspapers that final Christmas (1980), Father Stanley described the hardships and violence that the community was enduring. The shepherd cannot run at the first sign of danger. Pray for us that we may be a sign of the love of Christ for our people, that our presence among them will fortify them to endure these sufferings in preparation for the coming of the Kingdom. He truly was the shepherd who didn’t run! To the end, Father Stanley wanted – and chose –to be God’s presence to his people. That’s why he’s such a beautiful example for this Year of Mercy. He lived the way of mercy. Q: What was your biggest challenge in writing the manuscript? A: I think the big challenge during research was the amount of information! The Archdiocese of Oklahoma City gave me access to all the material related to Father Stanley, the papers, testimonies, interviews, you name it. I also had the manuscript begun by one of our diocesan priests, Father David Monahan, whom I refer to as Father Stanley’s first biographer. Sadly, Father Monahan developed dementia before he completed the manuscript, so it has never been published. Having so much material (in English and in Spanish) is a nice problem to have when you’re writing a book! But I had to get over the idea that I had to cover and write about every single aspect and piece of information available for this first biography of Father Stanley. As my husband reminded me more than once, I am telling one story of his life, the first one to be published. But there will be others once he becomes a saint! What was perhaps the biggest challenge for me, personally, was the timing of this project. I mentioned this in another interview, but during the year I spent researching and beginning to write the book, I also dealt with a number of major life events. I went through the illness and death of two close friends, while also taking care of my father during back to back health crises. It is no exaggeration to say that I felt helpless in every direction, and that included my writing. Finally, a good friend suggested that I simply invite Father Stanley into my crazy, messy life, just as it was. That I let Father Stanley walk with me through all these life events. It was so simple, really, and so deeply beautiful. It transformed me. A: During that year I kept reminding God in my prayer that we had a book to write! But ultimately, I was so empty, so drained of energy, that in order to write the book I had to rely only on God. And when I finally got going on the manuscript I realized that those difficult and painful life events that I went through during the year were precisely what allowed me to have a profound insight and understanding into Father Stanley’s life during that last year of his life — as he watched the people he loved so much endure suffering and death. Our God is a God of details, and never ceases to amaze me! Q: What surprised you most as you explored Fr. Rother’s life? A: I’m not sure I’d say this surprised me, Marge, but perhaps what impacted me the most about Father Stanley’s life was how ordinary it was! Like so many families up and down the middle of the country, he grew up in a close-knit farming community. Until he left for the seminary, he lived in the same house he was born—a house and farm still owned by the Rother family. He went to the same school from 1st to 12th grade. And in between seminary semesters he came home to help with the farm. Q: What kind of response have you received from the book so far? A: I’m terrible at judging how well a book is doing! But so far I’ve been pleased and surprised by the number of people who like to share with me their knowledge or experience of Father Stanley. This is not just from Oklahoma! For example, I’ve heard from guys who went to the seminary with him—and from people from other states who were volunteers at the Oklahoma mission in Guatemala. I love to hear those stories! The one thing everyone agrees on is that Father Stanley was a good, loving priest who was faithful to serving and ministering to his people until the end. And as the people I interviewed in Guatemala told me, they already know he is a saint! Q; What do you hope your readers will take away from this book? 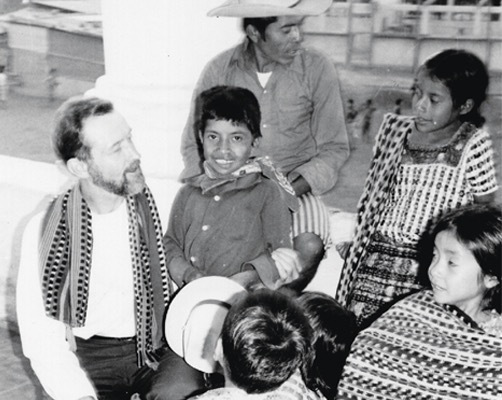 Father Stanley Rother is truly a saint of mercy! He fed the hungry, sheltered the homeless, visited the sick, comforted the afflicted, bore wrongs patiently, buried the dead—all of it. He lived the way of Mercy throughout his life—in the seminary, in the farm, in parish work, and of course, in the Guatemala mission. During this Jubilee Year of Mercy Father Stanley’s life reminds me that living Mercy is what God calls each of us to do, right where I am, today! Turn on the news, open your web browser or scan your social media and you’ll see tons upon tons of non-heroes, people who are cowardly, self-interested, and even downright evil. It can be sickening, even alarming. That’s precesely why we need to remind ourselves of the truly good people in the world – the heroes like Fr. Stanley Rother. I promise it will make superb Lenten reading and will be a book you’ll want to go back to again and again. Purchase your copy here. and be inspired by The Shepherd Who Wouldn’t Run. 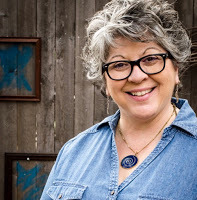 Marge, what an awesome Q&A! So much to this man. I love how you helped unearth here how the gift of this man is ongoing, and that there are people who knew him who are coming forth since this book has been published. What a blessing, to know a saint in the making! Thank you for the Q&A with Maria. I look forward to reading this book during my Lenten journey.